Ft. Myers Beach has a tropical climate with distinct seasons that may not be apparent to some, but are readily apparent to locals. Travel to the area at any given time promises abundant sunshine, as we experience around 340 days of sunshine per year. The sun's rays are incredibly strong here, even on a deceivingly chilly day in January. You should prepare accordingly, always packing sunblock, sunscreen, sunglasses and a hat, regardless of the time of year. 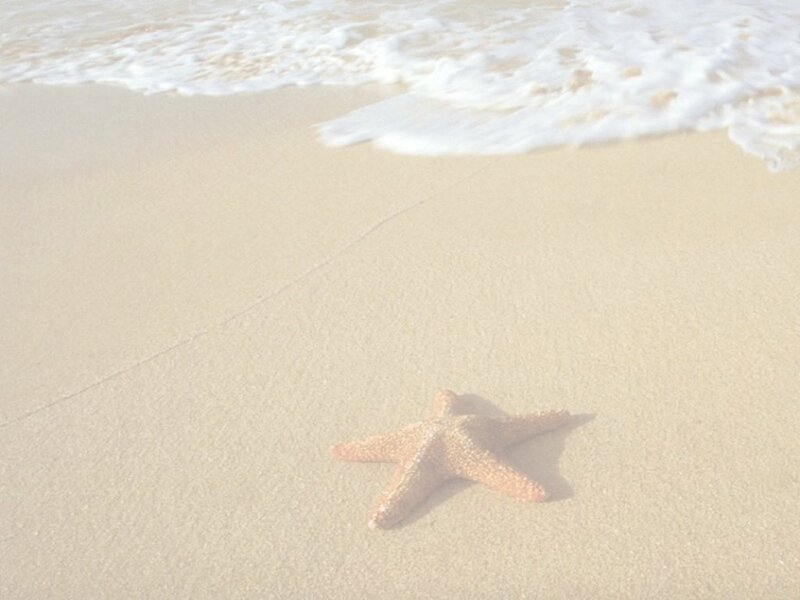 Because our condo is on the beach, you will generally always have a breeze blowing. Water temperature in the summer is absolutely amazing, and makes summer a great time to visit our condo. You can go out in the morning and enjoy a swim, while enjoying the worst hours for the sun's rays (1-4pm or so) inside. Another great week at EB&TMy husband and I frequently stay at EB&T. We like it, because it is at the quiet end of the beach (not near Times Square or the public beach access), but you can walk to a 7-11, CVS, Pinchers and a small plaza with an ice cream shop, a few restaurants/bars, shops and a little marina. You can take the trolley or drive down to the other end, but the trolley does not run late at night. We normally stay in a different unit, but it was unavailable so we picked this one instead.We were so glad we did. It was a great choice. As with all units at EB&T, the units is a one bedroom/studio, but this one felt nice and roomy for two people. They have just the right amount of nice quality furniture to make it comfy without feeling crowded. I loved the chair in the living room with the foot stool. I also liked having a full size sofa and a table with four chairs rather than small scale furniture like some have. The small cabinet with countertop was a nice touch for the coffee pot and toaster. The decor is nice and neutral. They had everything we wanted and needed for the week. The air conditioning worked great, but we really liked having the two ceiling fans to circulate the air throughout the condo. The view from inside the condo and the balcony is a show stopper. We just loved it. We also liked how the sun was somewhat blocked during the hottest part of the day, because of the way the unit/balcony is situated. You have a great view of the sunsets. This condo is a keeper and we will definitely rent it again. Kirby was very responsive and easy to rent off of. We really didn't feel like anything else was needed, but if I had to come up with a wish list, I would include a lighted makeup mirror for the desk and beach towels I understand why beach towels are not provided, but with luggage weight limits, we didn't want to weigh our bags down with beach towels. Another idea that you may want to consider that we have seen in other condos is a take it/leave it tote, pantry, etc.It is an area where travelers can leave laundry soap, fabric softener, shampoo, shaving cream, lotion, aloe, coffee, spices, bottled water, whatever they don't use and is not perishable rather than throwing it away. When you fly it is hard to bring everything or take it home once you buy it and it seems wasteful to throw it all away. Again everything was great. We loved it. We hope to be back real soon. Temperatures vary according to the time of year, with the months of May through October being the warmest and most humid. The sun is also at its strongest - brutally so. Wear sunscreen! The heat and humidity peak in July, August and September, as do the mosquitos and "no see ums" in some areas. Luckily, our home is on the 11th floor, above where mosquitoes and no see ums typically get. That really helps out versus being on a lower floor. If you choose to visit one of the back bay restaurants and eat outside, be prepared for bug action, particularly following an afternoon storm. Hurricane "season" officially begins June 1, and ends November 30, but hurricane activity is linked to the heat of the Gulf waters, so naturally, peak hurricane activity can be expected between late July and early October. Tropical waves, depressions and storms also are a possibility this time of year, and usually they are tracked several days in advance. 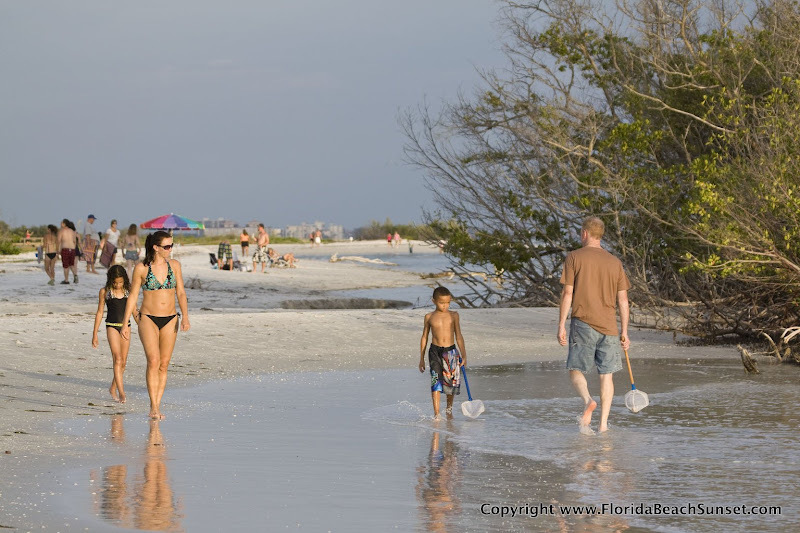 Fort Myers Beach is a great destination for the hurricane-weary. While anything is possible, there is only about a 1.6% chance of a hurricane hitting Fort Myers Beach in any given year. Those are pretty good odds for Florida. During the Summer months - here, that means June through the end of September - it will likely rain nearly every day. Now, this rain does not monopolize the day. Most days begin sunny, warm and humid and as the day goes by, the clouds build to magnificent grandeur - unlike anything you'll likely see anywhere else. HUGE, voluptuous, crisply defined clouds fill the sky and become heavy and dark by afternoon - nearly blue black in areas - a most ominous yet impressive sight. By 3-5pm, the skies open and the rain comes in torrents. This is nearly always accompanied by the most incredible lightning display - thick bolts that spider web across the sky, and sky splitting, earth shattering thunder. The storms here are an awesome sight, and are best enjoyed when safely indoors with our eleventh floor view. These storms rarely last more than an hour or so (often only around 15 minutes), then clear for the rest of the afternoon/evening. Fall can be the best time of year to visit our home, as it is technically before "season" (when all the snowbirds/tourists arrive) yet the weather cools enough to really enjoy the outdoors during the entire day. The temperatures are pleasant and the humidity has dropped. Daytime temperatures can still reach comfortably into the 80's, but at night it can cool off into the lower 60's. This is also when we get our first series of cold fronts - they can knock the temps down into the 70's during the day and 50's at night (oh, the horror!) but they usually don't last more than a day or so. The days are shortening and the atmosphere becomes just very pleasant. The holidays are in full swing and every place is decorated festively. If you plan to be outdoors in the evening, prepare by taking a light jacket or sweater. Winter runs from mid/late January to March. The days run from warm to cold - low 80's, down to the 60's. It's best to prepare for anything - long pants, sweaters, jackets, shorts, swimsuits. The days are short but sunny. In fact, the sun can be very deceiving. It can be cool and breezy, and you can still get a killer sunburn. If you will be outdoors - golfing, walking, biking - wear sunblock, a hat and sunglasses. It very rarely rains in the winter, and when it does, it's usually associated with a front. The rain in the winter is very different than the summer. There will be an overcast, gloomy sky and it can rain light to moderately all day. After the front passes through, the sky clears. This rain is normally not accompanied by the lightning you see in the summer, but still be on guard for signs of electrical activity. This is the most popular time for the snowbirds (retirees with a summer home up north and a winter home here) as the weather up north is usually at its most miserable. Spring is another very pleasant time of year, and very popular with visitors as well. This runs from March through late May. The days become more consistently warm, with cold snaps becoming few and far between. The days are getting longer and more people are outdoors enjoying the sun, warmth and low humidity. Locals break out the shorts and flip flops and put away the sweaters. Rain is rare and follows the winter pattern - light to moderate with little lightning, but can be an all day affair. This is a prime time to visit also, as the weather is excellent. Local attractions that draw children are wide open and empty, except during spring break and then when schools let out.